Do you ever find yourself just sitting down, sipping a nice hot brew and then suddenly, you start wondering what the atomic mass of potassium is? 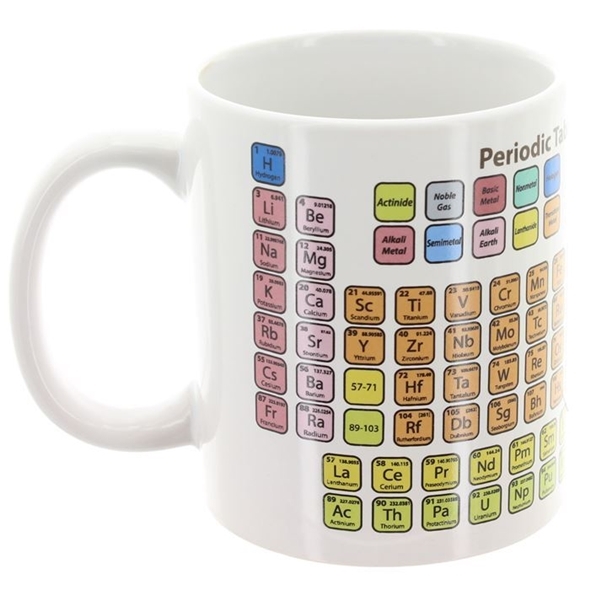 Well, We've no idea why anyone would want to check the atomic mass of potassium whilst drinking a cuppa but you're now able to, with the Periodic Table Stoneware Mug! 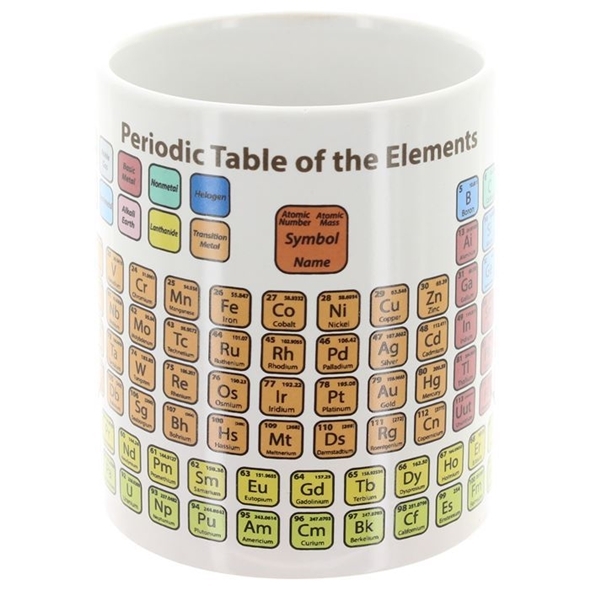 An ideal gift for anyone interested in science and stuff, this info-packed mug makes a nice change from the witty mugs used by non-science-savvy tea and coffee lovers. 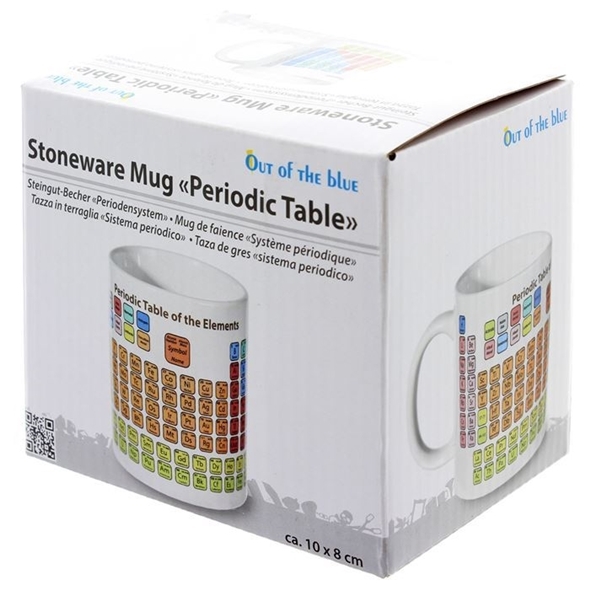 We think the Periodic Table Stoneware Mug is going to be a great hit with science loving fans. And word on the street is that the great Bill Nye the science guy drinks from this mug! Okay, maybe he doesn't - but he might. 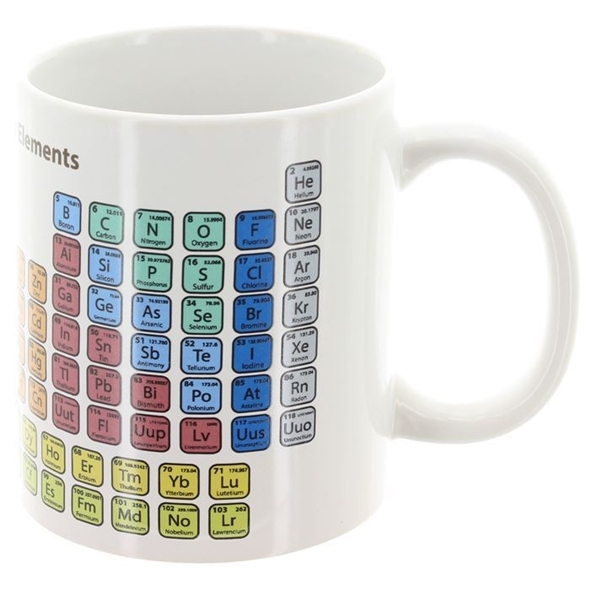 So instaed of just sipping from regular witty mugs, grab this novelty science mug and learn all about the elements while you sip your hot brew! i know it makes me sad but i love this mug, haha! arrived in perfect condition and quicker than expected so happy with the service received, thanks.